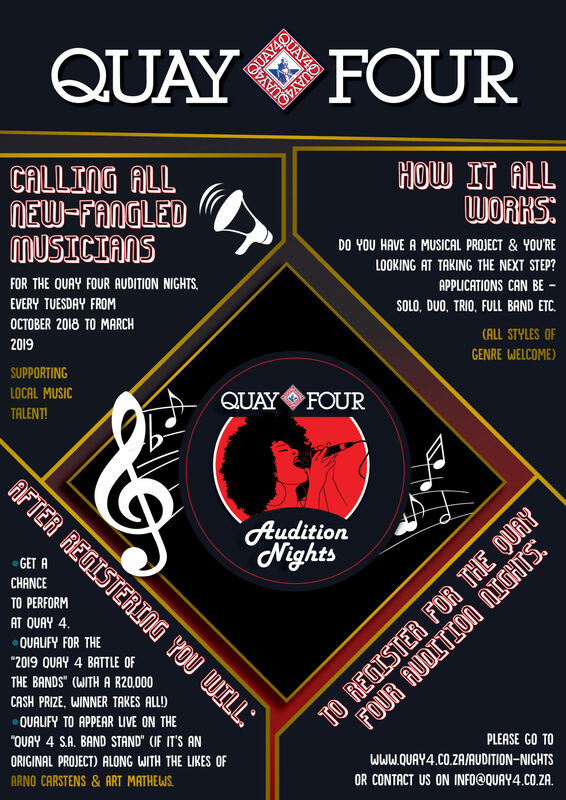 for the Quay four Audition Nights, every Tuesday’s Night from October 2018 to March 2019 – supporting local music talent! Do you have a musical project & you’re looking at taking the next step? •Get a chance to perform at Quay 4. •Qualify to appear live on the “Quay 4 S.A. Band Stand” (if it’s an original project) along with the likes of Arno Carstens & Art Mathews.